California is one of the places that I dreamed to visit. It came to reality last May 6 when I had a vacation using my PTO in the casino. My work place gave us paid time off every month and I did not use it. I used it during this vacation though which was a wise decison. 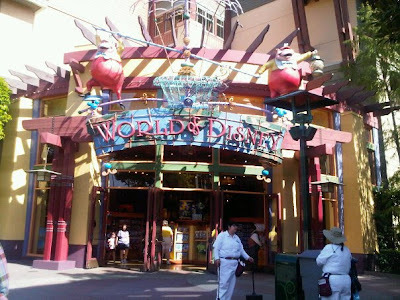 We went to Downtown Disney on my first hour in LA. It looks similar in Downtown Disney Orlando but, I was still thrilled! Anyway, I had fun taking pictures in the area and I had a good laugh with my friends. I did not go inside the park because it is not worth it. It was already almost five o'clock so, we just take pictures, eat and talk about memories. Lovely!